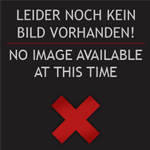 You are here: / Search result for "firestone cha2.75-21mpion"
Custom bike builders have been chanting for a good 21 inch motorcycle tire for their projects for years. 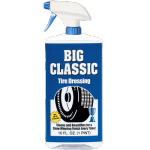 The Firestone 2.75-21 and 3.00-21 tires are an excellent fit for choppers, custom motorcycles and race-inspired bikes using a narrow twenty-one inch front wheel. 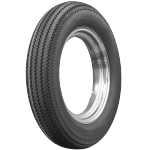 These Firestone Ribbed Motorcycle tires have a straight-groove tread pattern and a simple sidewall design. 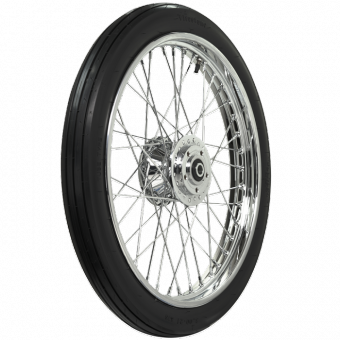 These are a great vintage look for any custom motorcycle with a 21-inch front wheel.